inforserb » Blog Archive » InforSERB MOT and Service feature! Servicing and MOT, we all have to do it, and the majority of us get pretty annoyed about it. I mean sure, it’s not the end of the world, but it’s just enough of an inconvenience that it can ruin your day especially if you are a busy person. To make matters worse we rarely know whether or not we are getting a good deal and end up feeling like we probably paid over the odds for something that we didn’t even want in the first place. So whether you own a brand new Alfa Romeo or a second hand Mazda, we are all in the same boat… or car. When you come to book your car service there are numerous thing you need to consider; have you dealt with the garage before, do you trust the particular garage, how do their prices compare to others? These questions don’t always have easy answers, though thankfully the price, which is often the most important factor can be searched and compared online using comparison sites. 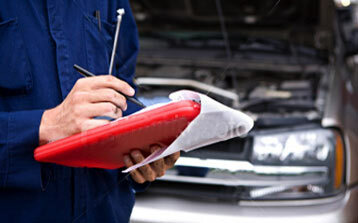 This entry was posted on Friday, January 25th, 2013 at 10:10 am	and is filed under Auto Care. You can follow any responses to this entry through the RSS 2.0 feed. Both comments and pings are currently closed.